My life is in order. It is. It’s very orderly. Now… um… how do I put it. Shall I say, PSYCHE! Take all of what I said and believe just the opposite. My kids start screaming waaaaaay before I am ready to get out of bed. 6:00 am. Are you serious!? I worked up until 1:00 am… I want to sleep! Sunday’s best?! Pssssht! Do yoga pants define sunday’s best? Seeing my husband off to work?! HA! That went out the door the day we had kids. Thanks for making me believe you were real. Love ya! Let’s talk about real things. Like a Mocha Latte Frozen Yogurt! Can we say HEAVENLY! These are my two all time faves in one; coffee and ice cream. Loves it! Do you have an ice cream machine? I hope so! But, if you don’t, here David Lebovitz shows you how to do it without one. Go gather your espresso, yogurt, milk, and cocoa… and be warned; do not, I repeat, DO NOT eat this before going to bed. Unless you want to be up all night. Cleaning. And such. It happened to a friend of mine… we don’t mention names around here. I am also sharing this recipe over at Kim’s place, A Night Owl Blog. Your favorite coffee drink in the form of frozen yogurt. Combine milk, sugar, cocoa powder, and espresso powder in a medium bowl and mix with a mixer for 2 minutes. Stir in yogurt, heavy cream, and vanilla; continue to mix until thoroughly combined. Pour the mixture into the ice cream maker and churn for 30 minutes. 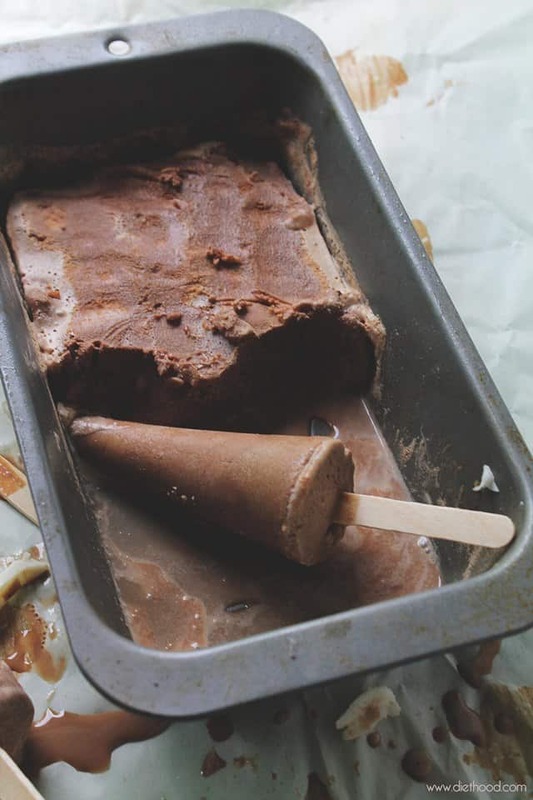 Transfer the ice cream to an airtight container and freeze it for 2 hours or until it reaches desired consistency. Total Time includes churning time and freezing time. Yummy yummy recipe… my ice cream hasnt set yet… but when I tasted the mix… it was out of this world. I made 2 small changes… used my salted caramel mocha coffee creamer in place of milk and used coconut sugar instead of brown sugar… so delicious. Thanks for this awesome recipe. Can you make it without an ice cream machine? ? Hi! Yes, absolutely. The couple of times that I made ice cream without a machine, I followed this method step by step: http://www.davidlebovitz.com/2007/07/making-ice-crea-1/ Hope that helps! goodness, everything you make is GORGEOUS!! You are SO kind! Thank you!! hehe 🙂 Thank you, Ashley!! I’m making this now. Can’t wait to try it! Three tablespoons of pure vanilla seems high. Is that correct? To offset the tart yogurt? Yes, 3 tbsp. 🙂 it will be too tart otherwise. Or u can use flavored yogurt, if u like. Let me know how it goes! Your posts always make me smile. I don’t have kids but my husband gets up at about the same time. And when he’s awake, there’s no going back to sleep for me. He’s an early bird and likes to get everything done by, oh, 8 am? Love the frozen yogurt! 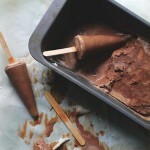 I just bought popsicle molds–methinks I’ll be giving your recipe a try! 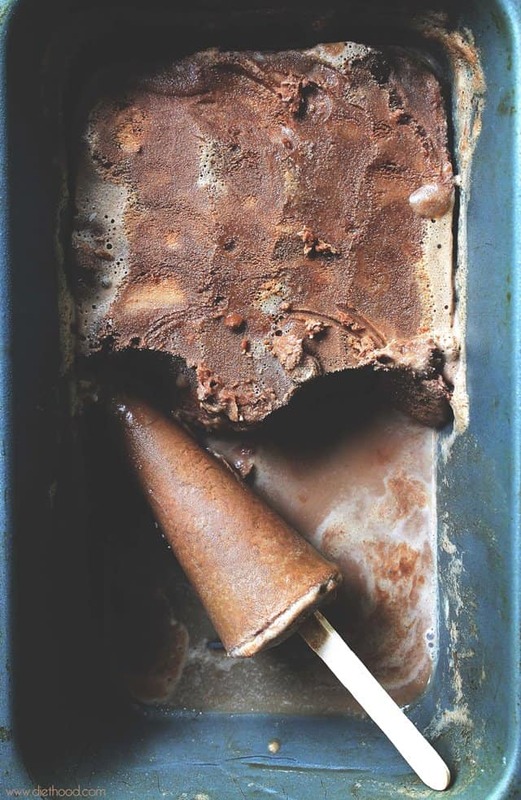 WAIT!>How do you make this master piece/can you w/o said ice cream maker?! Yes you can! 🙂 There’s a link in the post, highlighted as David Lebovitz, and that will lead you to his how-to tutorial. Will make this as soon as I can get the cream. I found that freezing homemade ice cream, frozen yogurt, sorbet, etc. that freezing in ice cube trays works best. You don’t have to stir to break up ice crystals. When frozen, place in freezer bags, and when ready to eat, get several and dig in. June Cleaver… LOL!! I just thought about her and her apron the other day. LIFE (even in the 50’s) could not be like that for real. Now I’m totally up for reality and this awesome frozen yogurt. HA! Tell me about it…sunday dress LOL! Weekly PJ’s is more like it around here hahaha…Oh dear Kate, I could use this whole container just for me right this moment! Oh I’m so with you about the whole NON orderly life. These days I feel like I’m at the mercy of my little guy. I crave a normal schedule again…just like I’m craving these pops! Wow—I’ve been on the hunt for a truly caffeinated ice cream for a while, looks like this is it! Oh my! Yes I’ll take some now please! Frozen yogurt is starting to be my new favorite obsession! 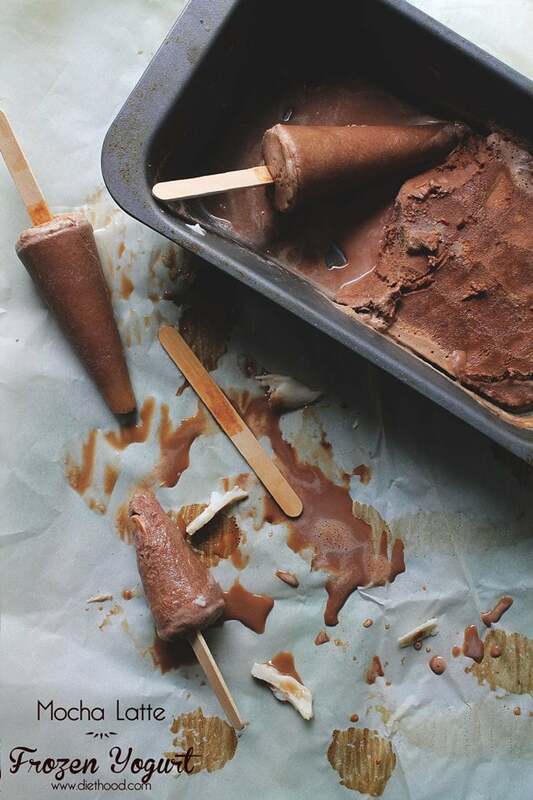 Funny thing is that we think it might happen some day… In the meantime this popsicles will keep us happy! I might drink this in the morning next summer, it´s awesome Kate!